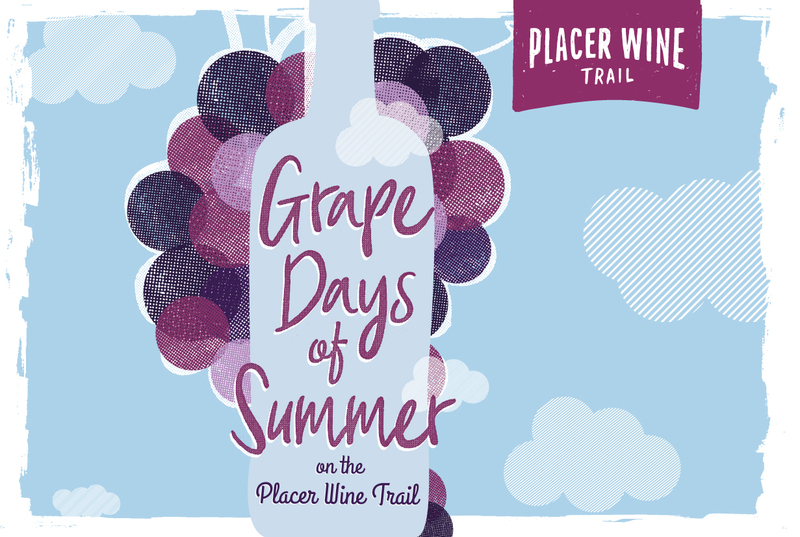 Celebrate local wine, local food, and local agriculture during an annual PASSPORT-STYLE self-guided tour of the Placer Wine Trail during Grape Days of Summer! 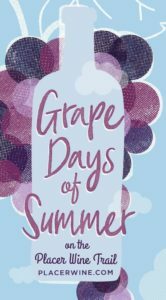 Join us for Grape Days of Summer! Some locations are open later, check with the individual wineries. Grape Days of Summer is an annual Placer Wine Trail 2-day open-house event hosted by Placer County Vintners Association (PCVA). Enjoy wine tasting and food at every winery, music (at most locations), and educational experiences at participating wineries along the trail. Guests can learn about local agriculture and winemaking, combined with a unique and educational experience. Learn about winemaking techniques, equipment, grapes, farming, and more! ACTIVITIES SUMMARY: With a paid ticket, enjoy wine tastings, food at each winery, and special educational activities celebrating winemaking and local agriculture – including items such as Vineyard Tours, Cork Presentations, Oak Flavors in Wine, Blending Seminars, Placer County Wine History, Vertical Tastings, and/or Barrel Aging and Sampling. TICKET DETAILS: Includes admission to each participating winery, small bites to eat, and a souvenir wine glass. When purchasing your tickets, you will asked what winery starting location will be your starting point. This is where you will get checked in, your glass and wristband for tasting. Each winery has a limited number of tickets for participants to start so that we are able to spread guests out along the Trail. In rare instances, you may not be able to start at your preferred location (will say SOLD OUT), but you can always visit them later. You are obligated to begin your tour at the location on your ticket where you will pick up your glass and wrist band. Once you have received your glass, you can visit the wineries in any order.